It was lost in the confusion of the Oscar envelope snafu, but â€œMoonlightâ€� made history. The coming-of-age drama about a gay black man growing up in Miami became the first film with an all-black cast to win the Academy Award for best picture. The movie, whose cast includes best supporting actor winner Mahershala Ali, Naomie Harris, Trevante Rhodes and Janelle MonÃ¡e, has been a critical darling during awards season. With the win, it shattered a glass ceiling for black films. In 2014, â€œ12 Years a Slaveâ€� won best picture, but its cast was not all black. Both â€œMoonlightâ€� and â€œ12 Yearsâ€� were produced by Brad Pittâ€™s Plan B company. 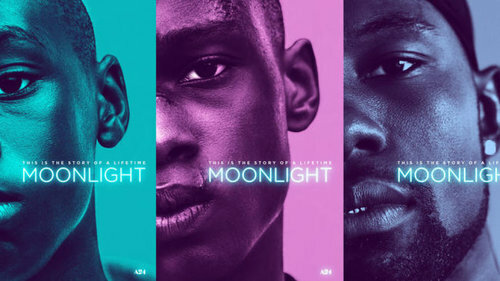 â€œMoonlightâ€� made Oscar history in other ways. Ali, who played a sympathetic drug dealer who mentors a bullied young man, is the first Muslim actor to win best supporting actor. Jenkins became the first African American to score nominations for best director, best picture and best adapted screenplay in the same year. The filmâ€™s co-editor, Joi McMillon, became the first African American to earn a nomination for achievement in film editing. The â€œMoonlightâ€� win came in a year in which the Academy has been hailed for more diversity. White actors had especially dominated the major acting categories for two years, giving rise to the #OscarsSoWhite hashtag. This year, seven of the 20 nominees were people of color. Viola Davis, who won best supporting actress, became only the second black woman to win an Emmy, an Oscar and a Tony for acting. Whoopi Goldberg is the other, and the only black actor to have a so-called EGOT â€“ an Emmy, Grammy, Tony and Oscar. April Reign, who created the #OscarsSoWhite hashtag, tweeted Sunday night about the importance of the evening. Y'all have been in my Mentions showing love all night and I havenâ€™t seen it because I was on OKPâ€™s account. I thank you. Iâ€™m humbled. Viola, Mahershala, and the wins for Moonlight happened because they were DESERVED. Not because of #OscarsSoWhite. I want that very clear. Earlier in the evening, Jenkins and Tarell Alvin McCraney, who wrote the play that became â€œMoonlightâ€� and co-wrote the screenplay, won the Oscar for best adapted screenplay. The pair paid homage to the disenfranchised in their acceptance speech for that award.